Gallery Delaive is proud to announce Sam Francis: Works from the 1950s on paper and canvas. Sam Francis’ (1923-1994) career spanned approximately 50 years and includes a staggering amount of paintings, drawings and prints. Influenced by Abstract Expressionism and the works of Clyfford Still and Jackson Pollock, Francis developed a unique style characterized by his sensitivity to light and the use of space to allow free circulation of strong color. 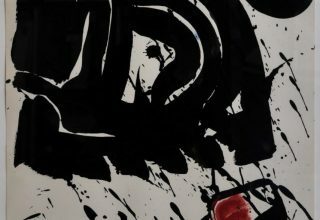 This exhibition will present a selection of works on paper and canvas from Sam Francis’ European decade in the ’50s, pivotal in the development of Francis’ distinctive style.